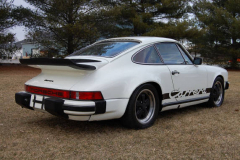 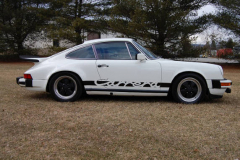 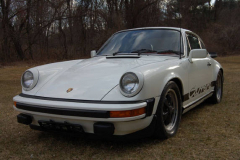 1975 Porsche 911 “Carrera” Sunroof Coupe finished in Grand Prix White with a Red leather interior. 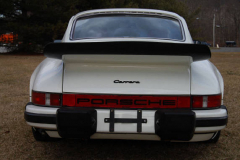 This car has 112,000 miles. It has just had(done in October of 2011) a complete mechanical go over including the following: new shocks on all four corners, wheel bearings, struts,brakes, the fuel injection has been gone thru and calibrated so that it is properly tuned, the cam was replaced with a 3.2 cam, the chain tensioners have been replaced with hydraulic tensioners, all hoses have been replaced, the valve covers have been replaced. The total bill was $16,996. 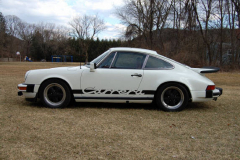 The car feels wonderful on the road, it makes great power and feels nice and tight. 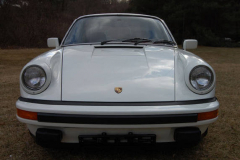 Cosmetically the car shows very nicely with very nice paint and interior, there are two small bubbles on the passenger side door and one on the front nose near the edge, the car is very clean and nice underneath. These cars are faster than the earlier examples of 911’s and just as much fun to drive. 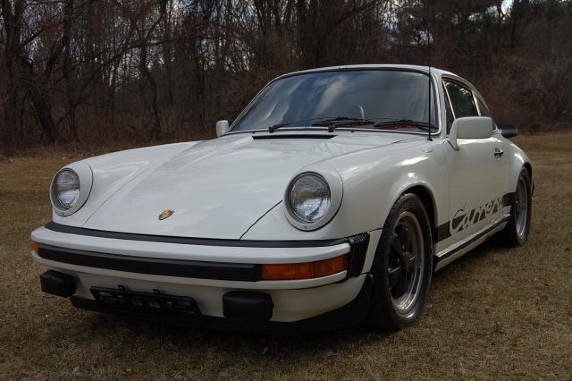 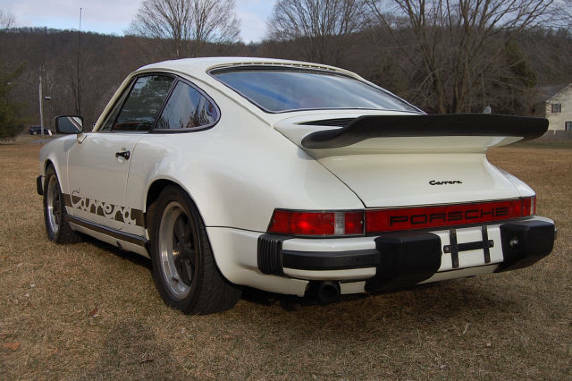 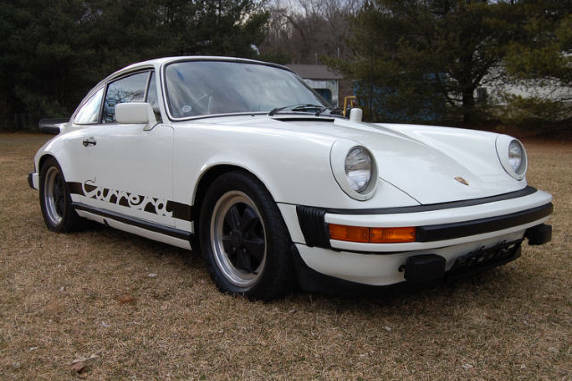 This is also a rare car with only 395 “Carrera” examples produced in 1975. 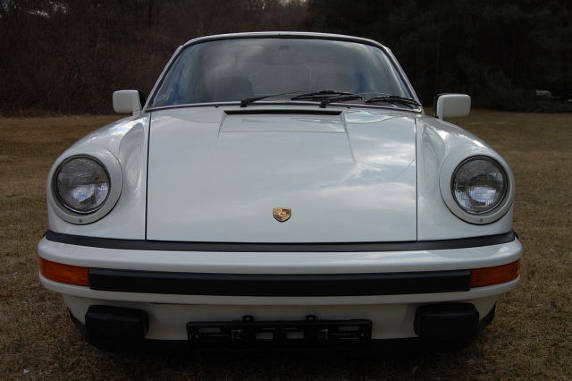 With prices of the earlier 911 cars going higher and higher, this is a chance to get a very nice vintage 911 that is much nicer than anything you could buy pre-1974 at this price point and still have a fun car that if taken care of will probably hold its value or maybe increase. 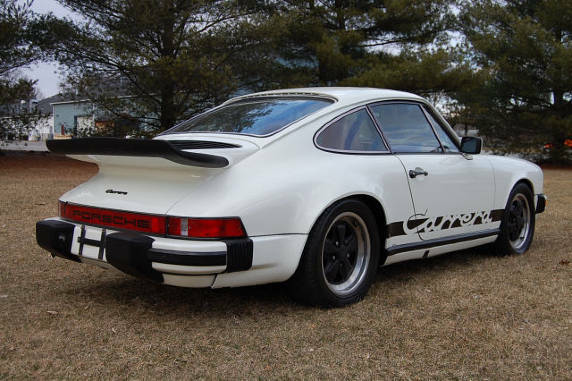 We also have the Certificate of Authenticity on hand which shows the car to be a matching numbers example in the original colors as it was made at the factory.